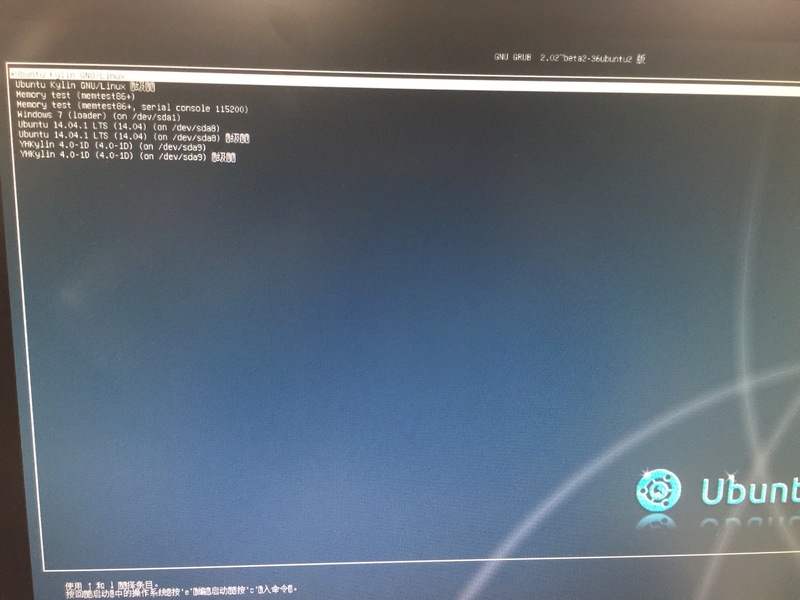 [Grub] There are messy codes on displaying Chinese characters in grub after install xenial-desktop_0320. summary: - [Grub] There are messy codes in grub after install xenial-desktop_0320. This also affects me. I filed a duplicated bug report #1568105. The new version of grub-common package ships a smaller unicode.pf2 font, which I think is the cause. Yes, this bug is caused by unicode.pf2 font. I use unicode.pf2 which is in old version testing, the font is displayed properly. That's interesting. You mean this arrangement of symbols has no meaning? I would have expected to see a "recovery" option show up in that specific place; and I would have said this is because of a translation. That said, I don't see how this may be caused by unicode.pf2. It is just a font. How do you test with the old version? You can see from the screenshot that there are actually some characters with a ? in a box, that should be a placeholder for characters that do not exist in the font. I mean unicode.pf2 not include some characters in new grub2 package. But these characters is Included in old grub2 package. I'm re-uploading my screenshot in my duplicated report. 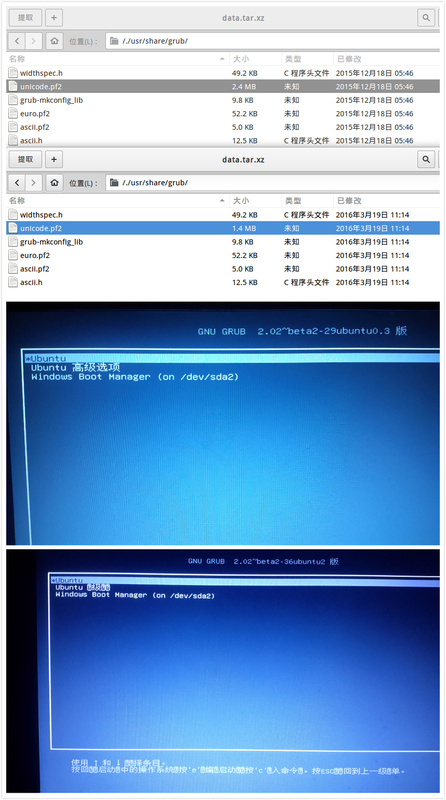 As you can see, in recent versions of Grub, all recovery and old kernel entries reside in "高级选项" (Chinese for "advanced options"). In 29 version from wily, the four characters are displayed fine; while in 36 version from xenial, only "级" is shown correctly and the other three are boxed question marks, meaning the character cannot be displayed by the font. I didn't test 29 font with 36 version, but the font does become smaller, and this is nonetheless a regression. BTW, this is the first screen most Chinese users will see when they boot Ubuntu (not just Kylin, all Ubuntu variants). Indeed. I'm sorry about that, it goes to show that I need to adjust my prescription (or look more closely, in any case). There's indeed missing glyphs. 32768 = 2^15 , May be related to the type of length? I've been bisecting this for most of the day yesterday and this morning; tracked it down to a single commit in freetype. After some more refining, I managed to reduce this to two lines of change reverting the bad commit. I have a package in my PPA right now that will build to make sure freetype isn't completely broken by this change; once it's done I'll also push grub to the same PPA for a build test to make sure it's really fixed. If all these tests pass, I'll upload the fix.